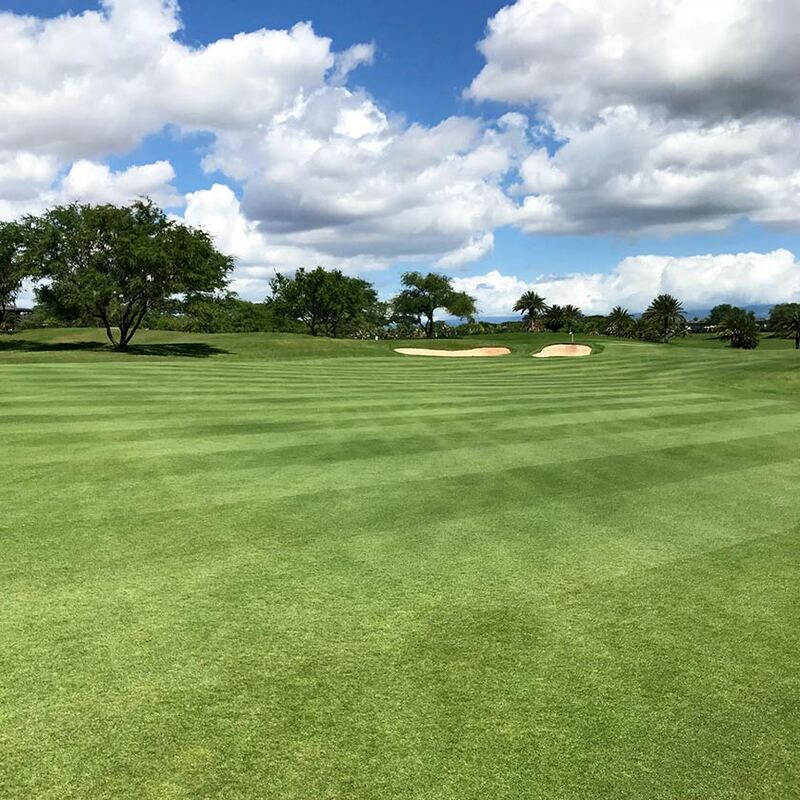 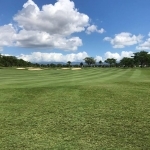 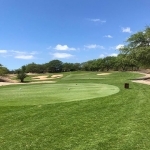 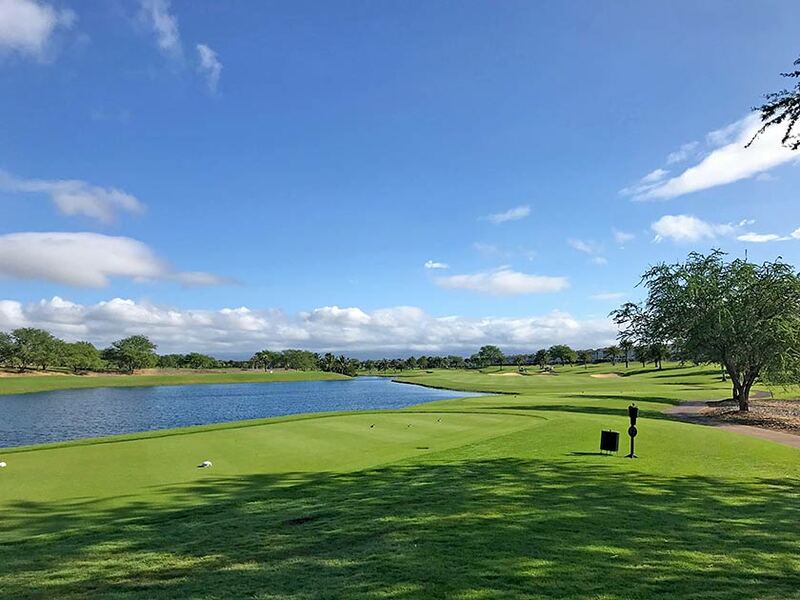 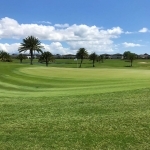 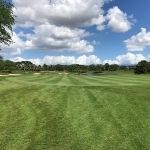 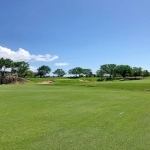 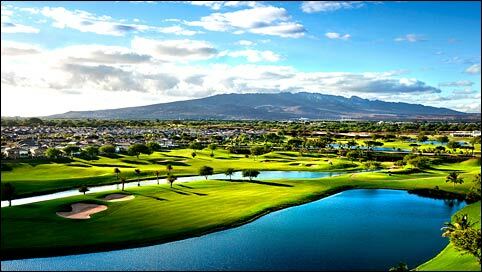 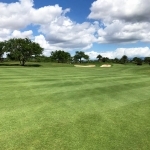 Hoakalei Country Club, the newest and latest private golf course to be build on the Ewa Beach shoreline on the west side of the island of Oahu where advance development is progressing, it is located 20~30 minutes away from the Honolulu International Airport. 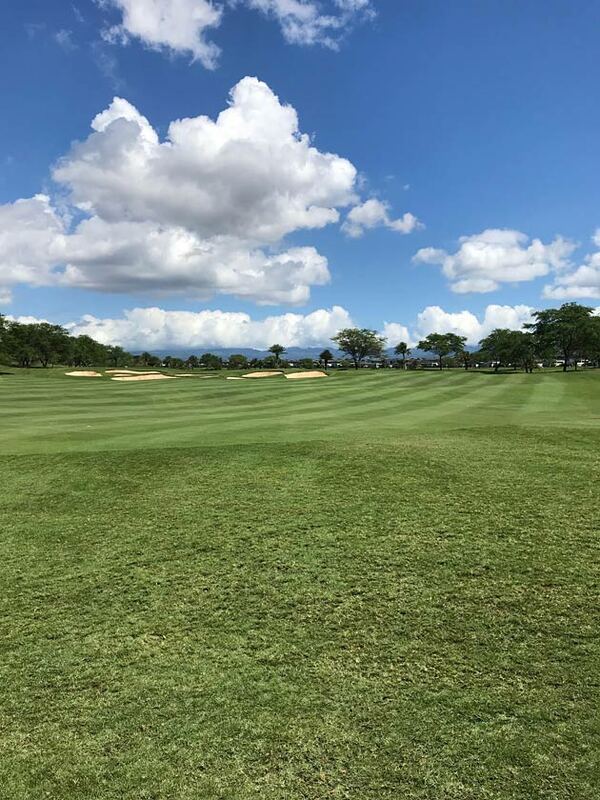 Because the Club is in the opposite direction from most business district, a traffic jam wouldn’t be an issue, so you can enjoy playing golf in a relaxed mood. 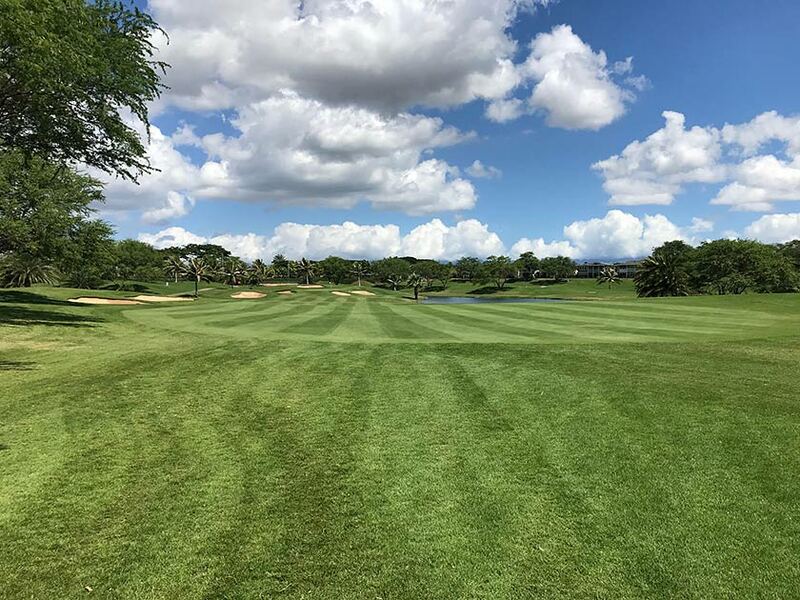 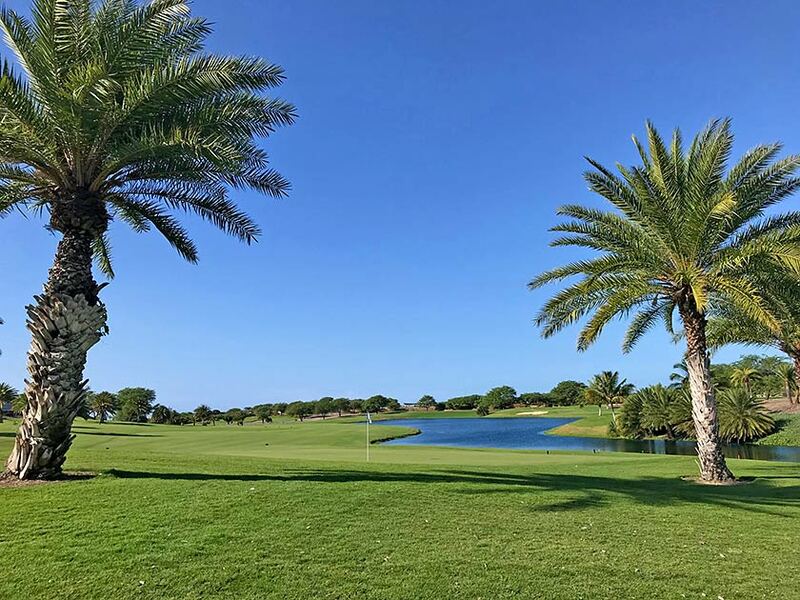 Once you get close to the Country Club, you pass through the wide streets of the upscale residential area and passing tropical palm trees, it almost feels like a hidden passage to the golf course. 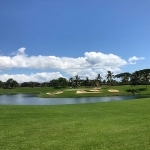 The 7,413 yards champion course that was designed by “Big Easy” Ernie Els is a tough course with a range of 6,732 yards back tee and regular tees at 6,226 yards with generously wide fairways, so that you may swing your driver with confidence. 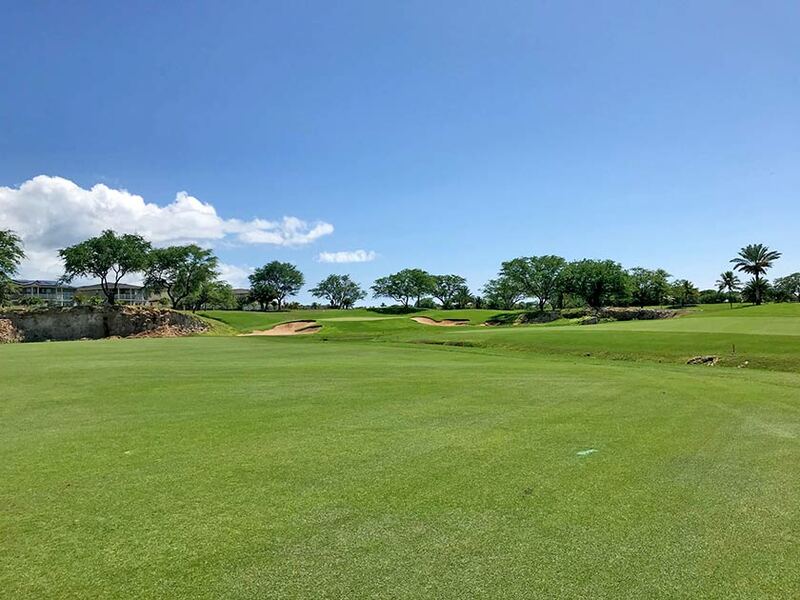 There are 112 strategically placed bunkers throughout the course, risk-reward shots are challenging but extremely satisfying. 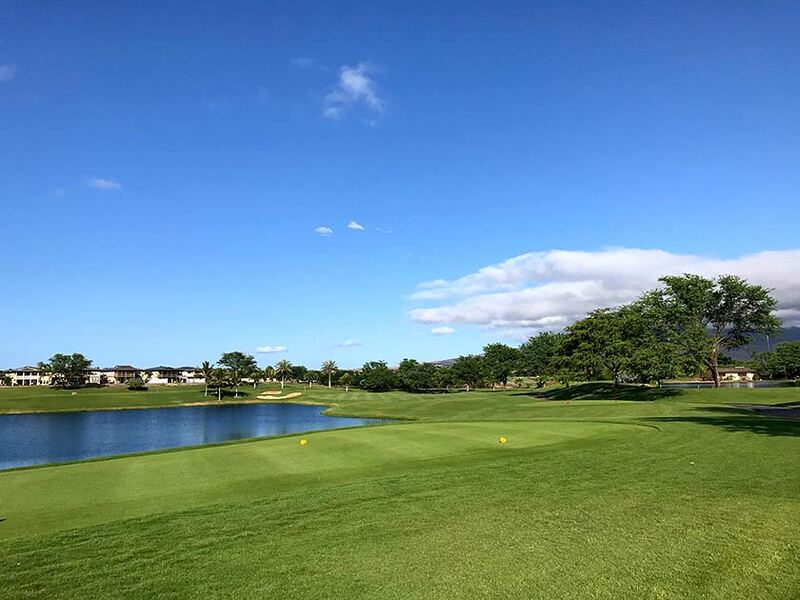 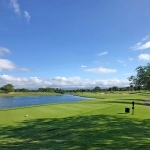 Els designed this course for every golfer from amateurs to pros, with beautiful water features, but water can also give you trouble. 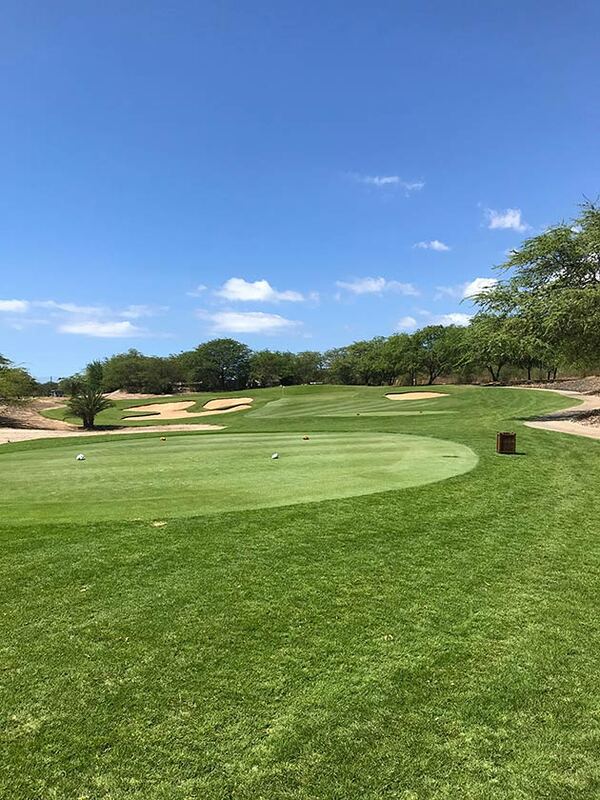 He configured the hole layouts combined with the trade winds, this means it’s the type of course that could play different from day to day. 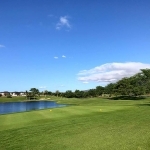 You have to figure out the wind direction by looking for the rippling in the water on the ponds. 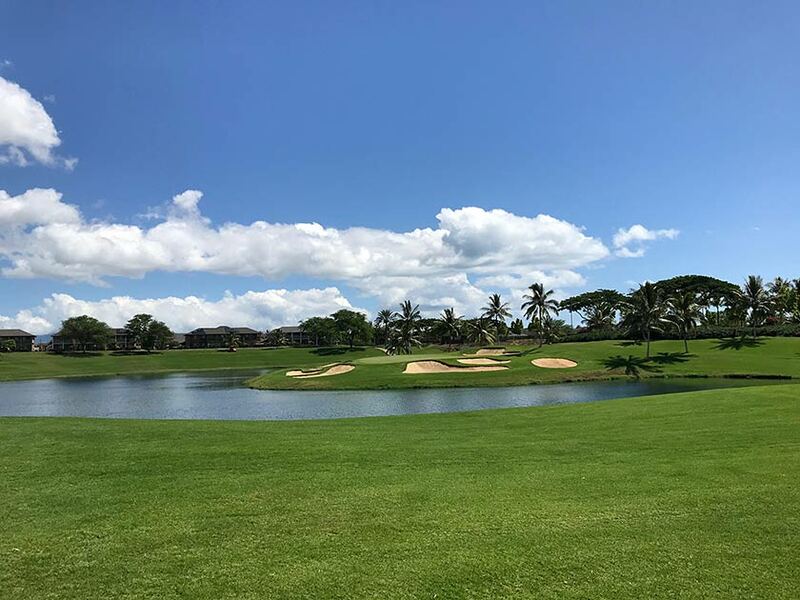 Another way to enjoy playing Hoakalei is to challenge yourself for each shot.